Made with Wes of Burlesque of North America. 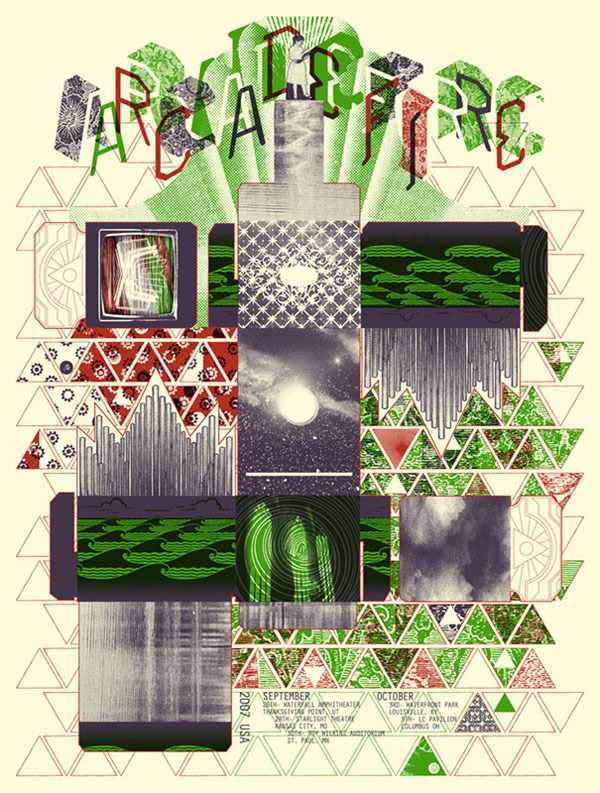 Poster for Arcade Fire's Mid-American Tour leg. The poster is double-sided, and can be cut out and folded into a shadow box. Inside is a girl reading a book, surrounded by the black waves of a parting sea. Behind her you can insert one of five removeable backdrops.